You cut a blazing trail through life, excited about exploring new territories and breaking new ground. You are a pioneer with a bold spirit, inspiring others as you go. With no map to guide you, you carve your own path. Your journey embraces adventure, originality and fearlessness. 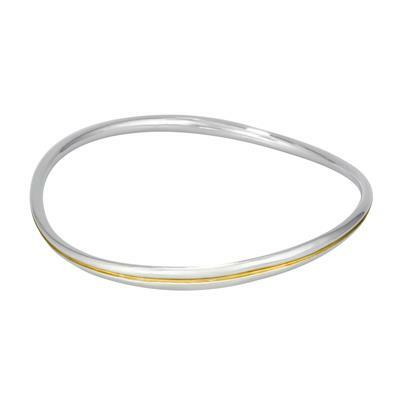 The elliptical shape of the bangle and ring represents the detours on your journey. The deep line of yellow gold cut into the Sterling Silver represents the trail you blaze through life.